Earlier this year I sat down with a videographer at the Bazaarvoice Summit in Austin. He asked me about the future of marketing, in particular as it related to data and consumer behavior. Given what I announced earlier this morning, I thought you might find this short video worth a view. Thanks to Ian Greenleigh for doing all the work! 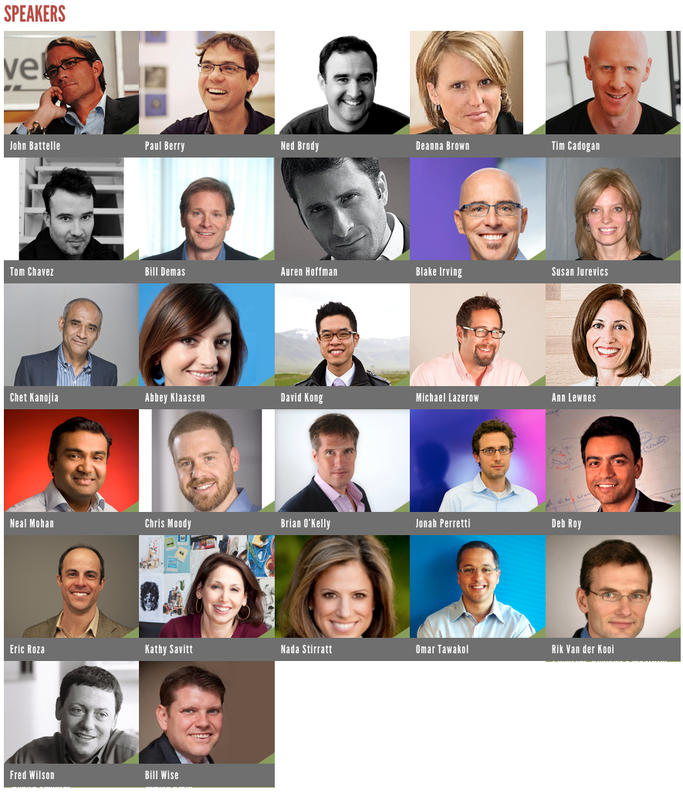 Some of the more than 25 speakers already joining us at the 2013 CM Summit. Over on the brand spanking new CM Summit website, we’ve announced our initial speaker lineup and progam theme for the 2013 event – Parting the Clouds: Bridging Data and Humanity. This is the seventh annual CM Summit, the fifth as an anchor conference for New York’s Internet Week. It’s a direct result of nearly a year of work on my book, and inspired by research into the programmatic, data-driven world of advertising technology as well as some very deep roots in brand building and digital media.